Good news to shoppers for are looking to shop for batteries. 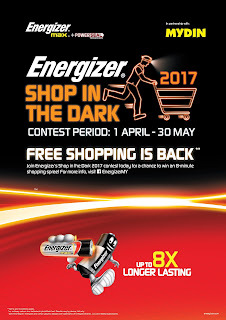 Now Energizer Shop In The Dark 2017 is back. 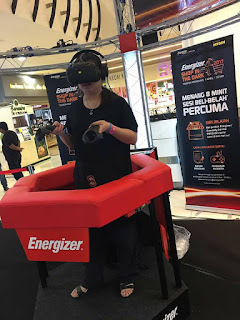 This campaign started on April 2017 with the Facebook Digital Contest and mail-in entries, Energizer officially introduced the third leg of its entry submission for the contest with the launch of Virtual Reality (VR) roadshows at MYDIN USJ, Subang on 5 May. 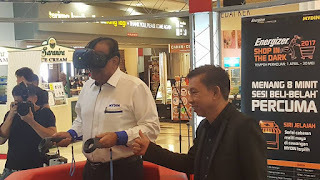 Launch of Energizer Virtual Reality (VR) roadshow with Mr. Ahimmat Bin Mydin, Executive Director of MYDIN Mohamed Holdings Bhd, and Mr. Tan Suang Jak, National Sales Manager of Energizer Malaysia. 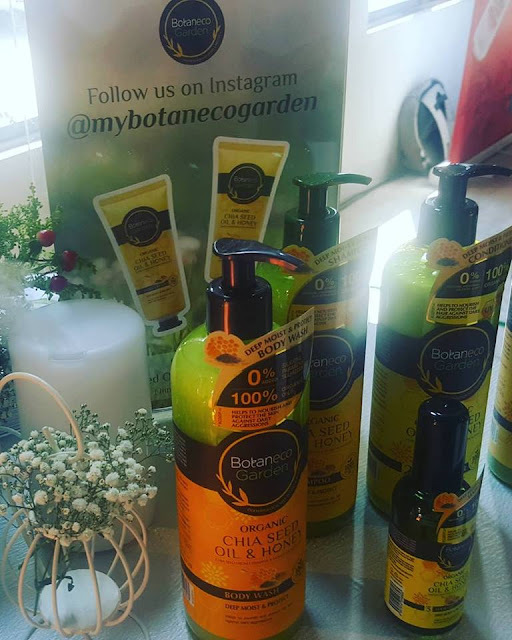 Last year’s campaign comprised of a series of Dark Room challenges at selected MYDIN stores located in five states across Peninsular Malaysia – Selangor, Penang, Negeri Sembilan and Johor. 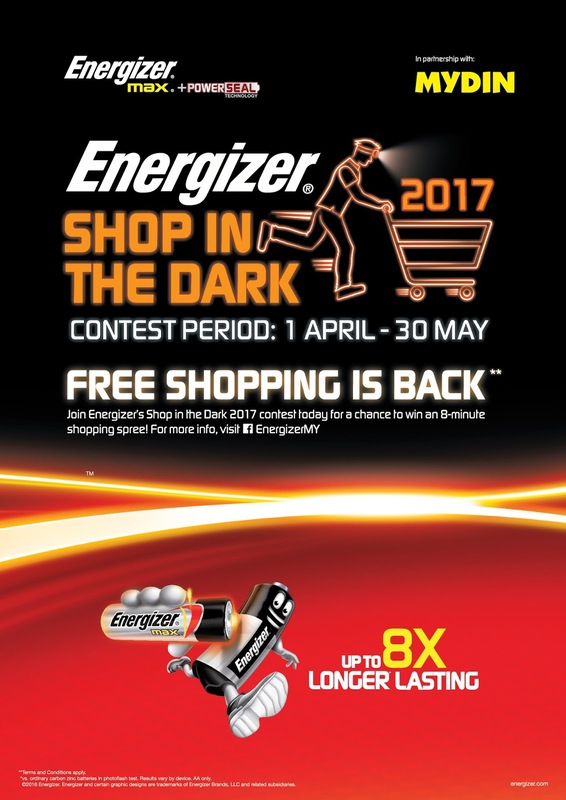 In these challenges, shoppers were required to shop in the dark for a list of items within a stipulated time limit, showcasing the power of the Energizer Max batteries which is now 8x longer lasting. The participants with the highest scores at each roadshow were then invited to participate in the grand finale of the Energizer ‘Shop In The Dark’ campaign at MYDIN USJ, Subang Jaya. Mr. Ahimmat Bin Mydin, Executive Director of MYDIN Mohamed Holdings Bhd, and Mr. Tan Suang Jak, National Sales Manager of Energizer Malaysia. 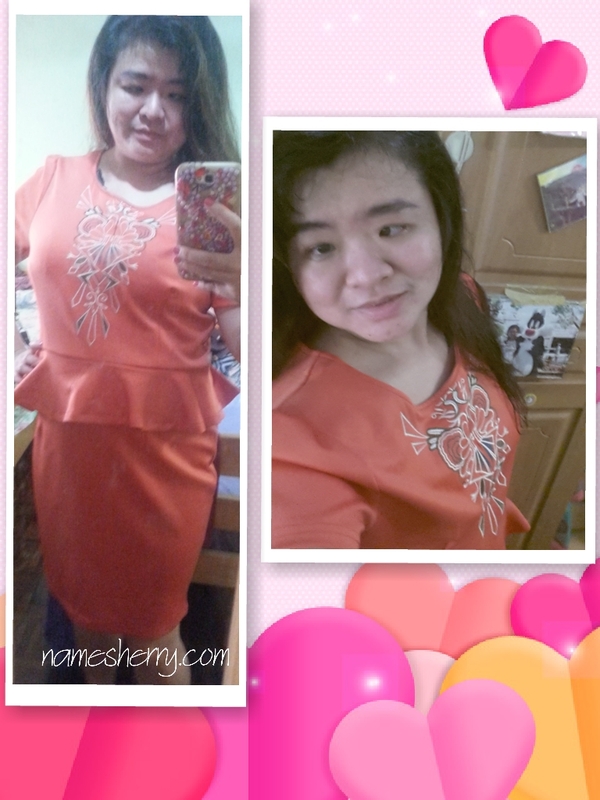 3) Facebook contest (starts on 1 April). The Dark Room roadshows introduce a new virtual reality (VR) twist to the challenge this year as shoppers will be shopping in the dark through a VR machine. 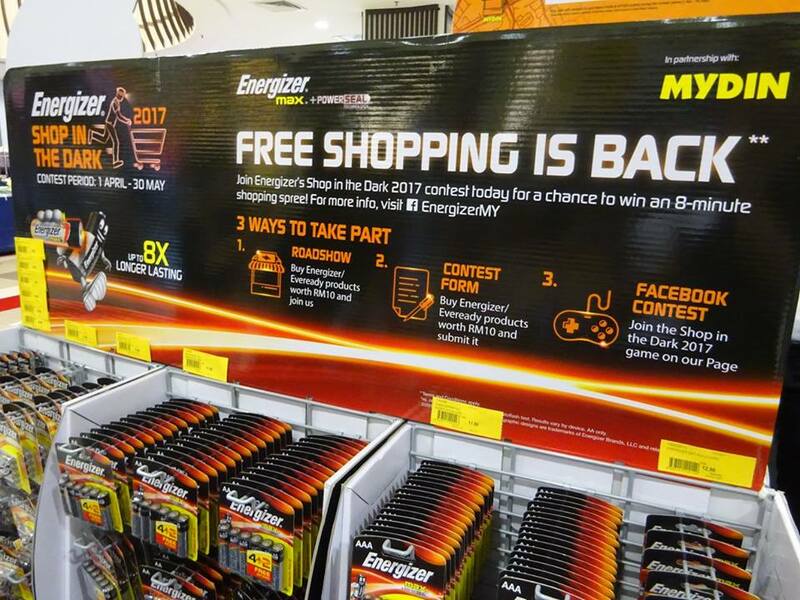 Shoppers who are interested to participate through the roadshows or mail in entry are required to provide a proof of purchase with a minimum of RM10 worth of Energizer or Eveready products. 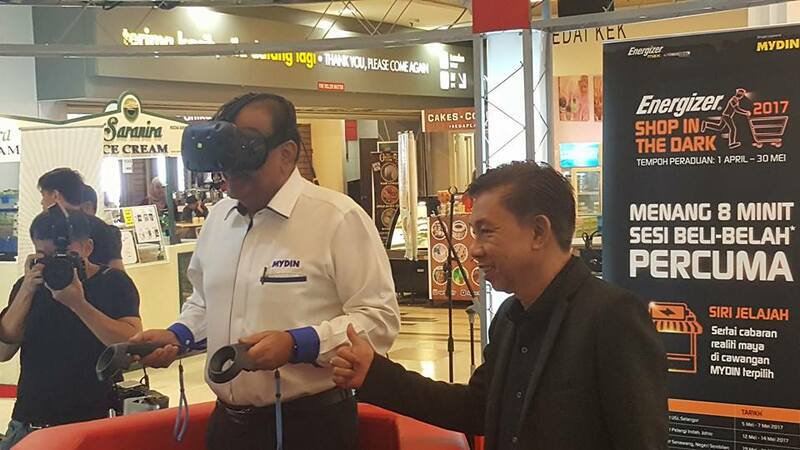 The new virtual reality ‘Shop In The Dark’ challenge at selected MYDIN outlets offers an entirely different experience of shopping in the dark. 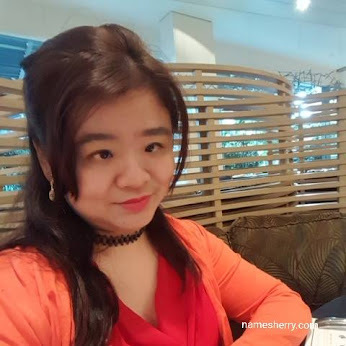 I am happy being one of the media blogger to be on spot try out the VR and shop in the virtual store with a list of items to look for within a fixed time. This will be a whole new experience of shopping in the dark for the eyes and ears, hands on experienced whole VR challenge is 120 seconds (2mins) that is fun and I am happy to have collected the 9 items into the shopping cart. 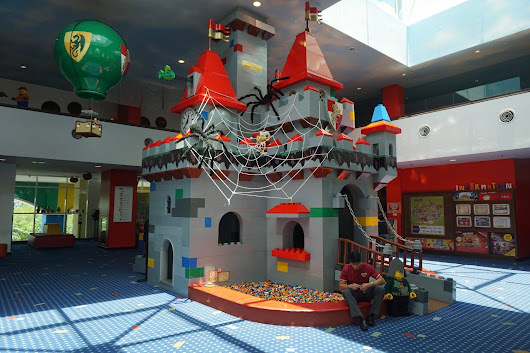 Four winners from the roadshow challenges, five winners from the mail-in entries and one winner from the Facebook contest will win an eight-minute shopping spree bonus worth up to RM3,500 each during the contest finale which will take place at MYDIN USJ, Subang Jaya in July. In the shopping spree, the winner can load up anything they wish (with restrictions and pre-imposed parameters) into their shopping cart. 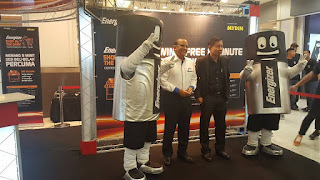 The items in the shopping cart will be paid in full by Energizer up to RM3,500. My all time battery brand is always energizer.. Hehe. Wish to try that VR tho... Looks so cool! 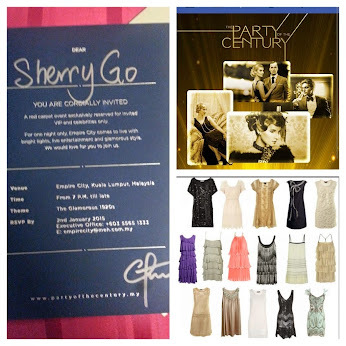 Great event and contest. Will ask my family to join. Great event and contest. Will ask family to join.